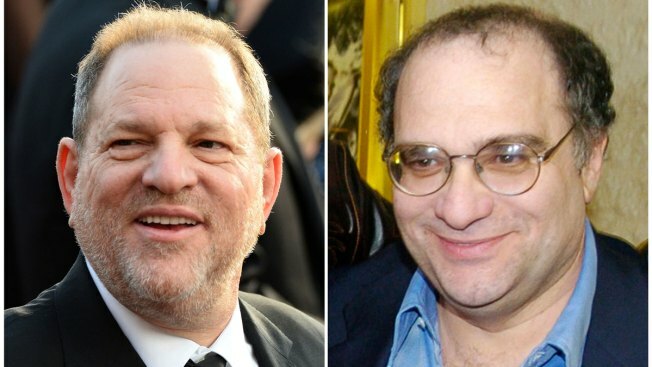 This combination photo shows Harvey Weinstein at the Oscars in Los Angeles on Feb. 28, 2016, left, and his brother, Bob Weinstein, at the premiere of "Sin City," in Los Angeles on March 28, 2005. 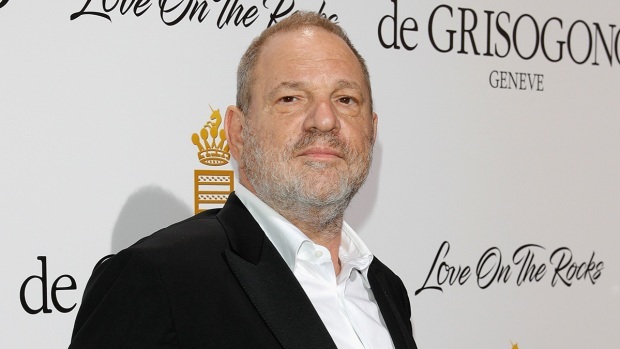 Spike network is investigating reports of sexual harassment by the brother of disgraced film mogul Harvey Weinstein against the female showrunner of a series produced by The Weinstein Co. and aired on Spike. Amanda Segel, a former executive producer of the sci-fi series "The Mist," claims Bob Weinstein made repeated overtures to her that included invitations to dinner, to his home and to a hotel room, according to a story published Tuesday by Variety. Seth Meyers turns it over to the women writers of "Late Night," who respond to the claims of sexual harassment against movie producer Harvey Weinstein.